During an appearance on the latest edition of "Trunk Nation LA Invasion: Live From The Rainbow Bar & Grill" on SiriusXM, bassist Geezer Butler (BLACK SABBATH), guitarist Steve Stevens (BILLY IDOL, VINCE NEIL), drummer Matt Sorum (GUNS N' ROSES, VELVET REVOLVER) and singer Franky Perez (APOCALYPTICA) spoke about the formation of their new collaborative project, DEADLAND RITUAL. Asked how band came together, Franky said: "Matt, myself and Steve have been friends with years. And we've been talking about doing a project. And we had an opportunity to play with Geezer at the Adopt The Arts benefit, and I remember turning to Matt and saying, 'This is it, man. This is unreal.' And when it came time to put the band together, it just made sense." Added Matt: "Slash actually called me one time and said, 'Hey, man. I found this singer [Franky]. And would you check him out with CAMP FREDDY? And I'm gonna come down and watch.' We were looking for a singer for VELVET REVOLVER. And then, long story short, we kind of worked on that for a while. That didn't come to fruition. And then I remained friends with Franky. I loved his voice and I kept playing with him in different situations. "I have a charity group for kids here in L.A. called Adopt The Arts," he continued. "And we did a big benefit. And I called Geezer, 'cause I had just played with him with Alice Cooper and the HOLLYWOOD VAMPIRES. We did a gig here at The Roxy. Geezer got up and we played… I think we played a [Jimi] Hendrix tune, 'Manic Depression'. And it was just great. And then I think I got his number. So then I called him and we went up for my Adopt The Arts thing and we played [BLACK SABBATH's] 'War Pigs', 'cause he knows that one. And we all know it as well, we love it, so we said, 'Can we please play that song?' And he obliged and said yes. And it was Steve, Franky and myself playing [with Geezer] that night, and I remember, it just felt explosive. We all looked at each other and we were, like, 'That was really cool.' At that point, time went on and we started talking about doing a project. And I called Geezer. And I sent him a demo that we had — another song that we haven't put out yet that's great — and he liked it. And that was pretty much how it started. And then we got together and started writing songs." "Well, I retired after the last SABBATH show," he said. "I just traveled and did everything that I wanted to do when I was retired for a year. And then I got fed up watching the TV every day. And I started writing stuff again, 'cause that's what you do. I've been doing it for 50 years, so it's in your blood. You can't just stop, especially when it's your hobby as well. And I just got back into writing stuff. I was planning on doing another solo album, a GZR thing. And I got a few songs together for that. And then Matt got in touch with me about DEADLAND RITUAL." DEADLAND RITUAL will make two European summer festival appearances in June — Download in the U.K on June 14 and Hellfest in France on June 22. 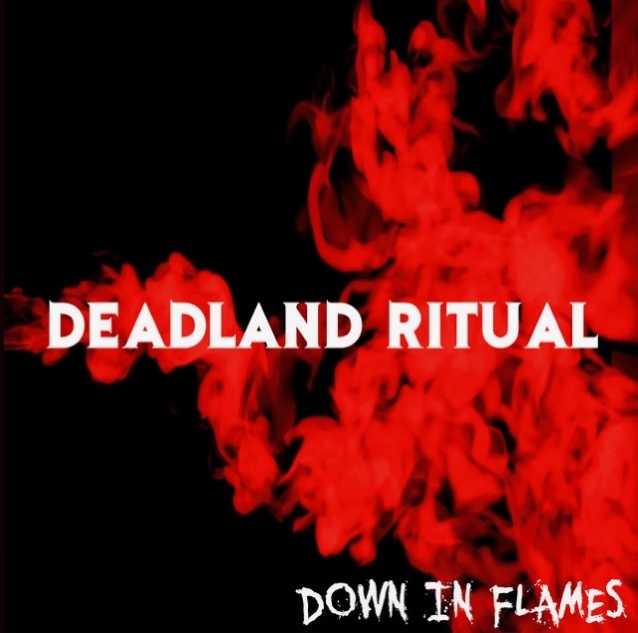 DEADLAND RITUAL promises the live shows will be something special, mixing original material with deeper cuts from the bandmembers' collective past. 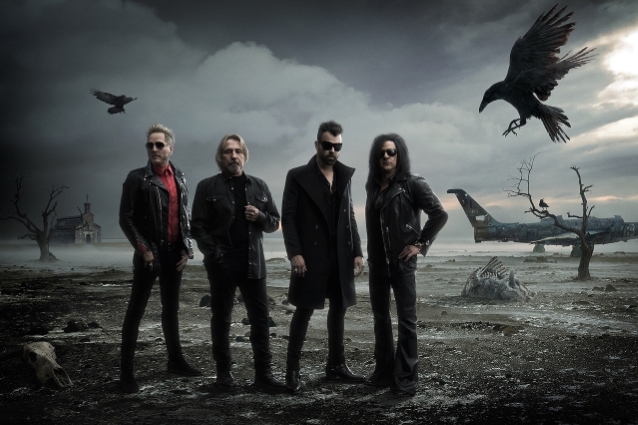 "Not the typical songs you would expect," according to Sorum.